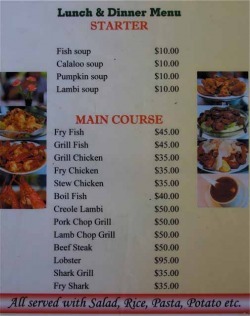 Lambi's restaurant offers a tasty selection of local food, including seafood, chicken and beef. Stop by and sample some of our local specialities. You won't be disappointed. Our fully stocked bar offers a variety of beers and cocktails to cool you off after a day in the Grenadine sunshine.